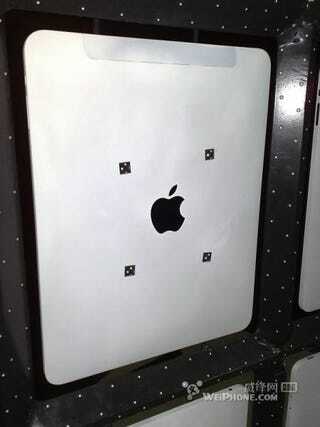 Is This the Outside of the Apple Tablet? As far as hardware goes, the size, the look, and the configuration of the apparent unibody-ish backside of the tablet all make sense. The original photos were yanked almost immediately—very interesting—but not before we saved them. We've probably seen the screen and one piece of software, and now we've just as probably seen what the exterior looks like. That is, one part iPhone, three parts Unibody MacBook, eight parts new. There's almost certain a spot for a rocker switch, one for a headphone jack, and another for what could be either a power button or (!!!) an HDMI or USB port. There doesn't appear to be a rear-facing camera, but that'd have been a little weird anyway. If you're not there already, jump onto our liveblog for up-to-the-microsecond tablet updates, and live keynote coverage.